If you suspected that you had a broken bone, torn ligament, or some other internal injury, you’d want the doctor to use the appropriate medical technology to take a closer look. Even a highly trained professional can only conclusively determine so much with the naked eye alone. 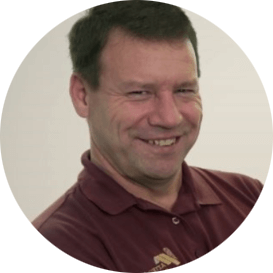 Wouldn’t you also want your home inspector to use state-of-the-art technology to take a more in-depth look at what you’re hoping will become your new home? 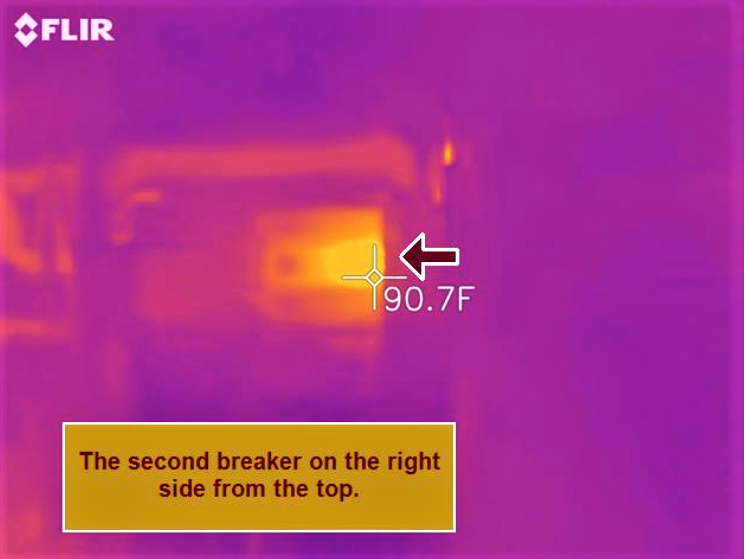 Add Thermal Imaging to your scheduled home inspection service so that you can get a more accurate and precise picture of your potential home’s true condition. 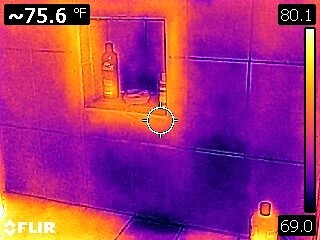 Thermal Imaging utilizes a specialized camera to generate a detailed infrared image of any area of a home that Aztec Home Services LLC wants to investigate more closely. 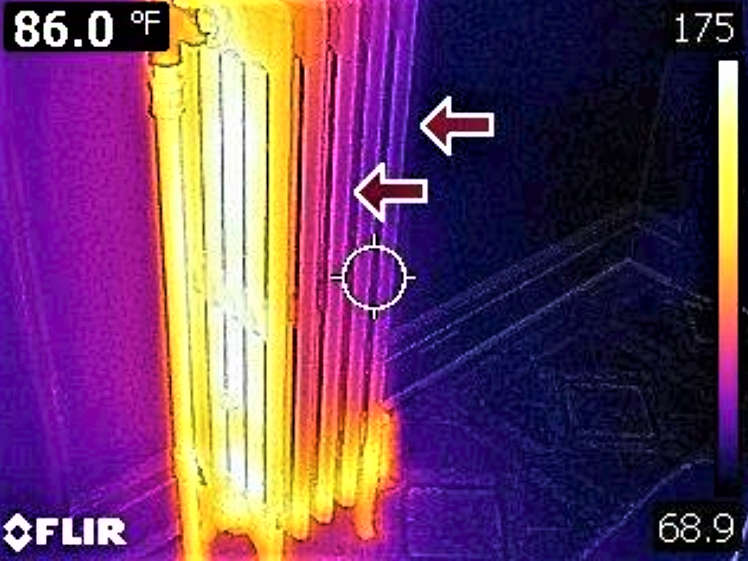 Viewing a home’s components on the infrared spectrum allows us to see both large and subtle changes in temperature that could never be detected by the unaided human eye alone — providing clear indicators of where an issue may be occurring. 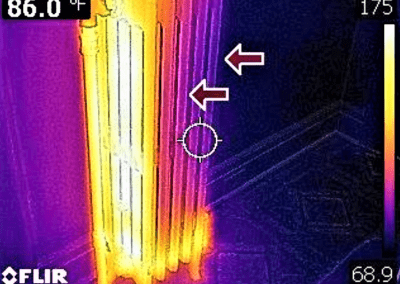 Interpreting these images is the job of your highly trained and experienced home inspector — Mike Donitzen and Brandon Pettit of Aztec Home Services are Certified Residential Thermographers. 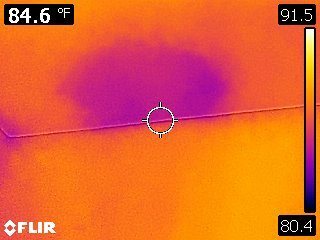 Your home inspector should explain to you both the limits of thermal imaging (it can’t help predict the future, nor can the camera “see through walls”), as well as its numerous benefits. 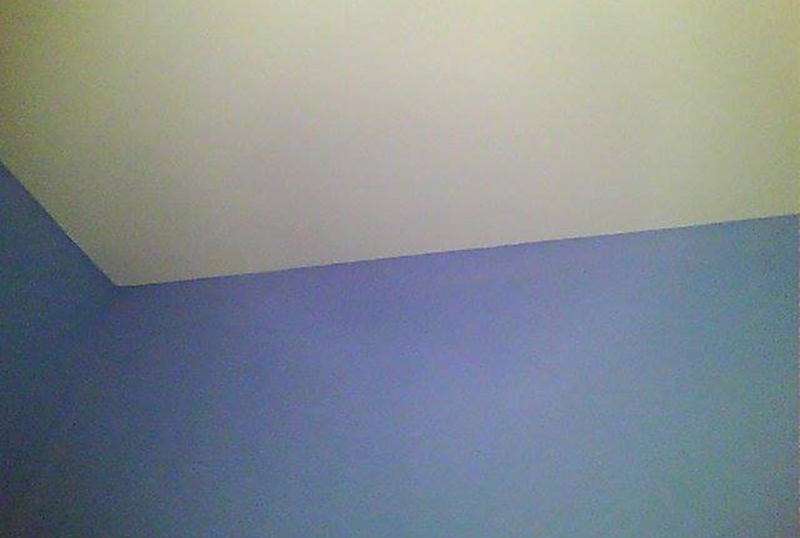 The two photographs below show an isolated section of a ceiling and wall inside a home. 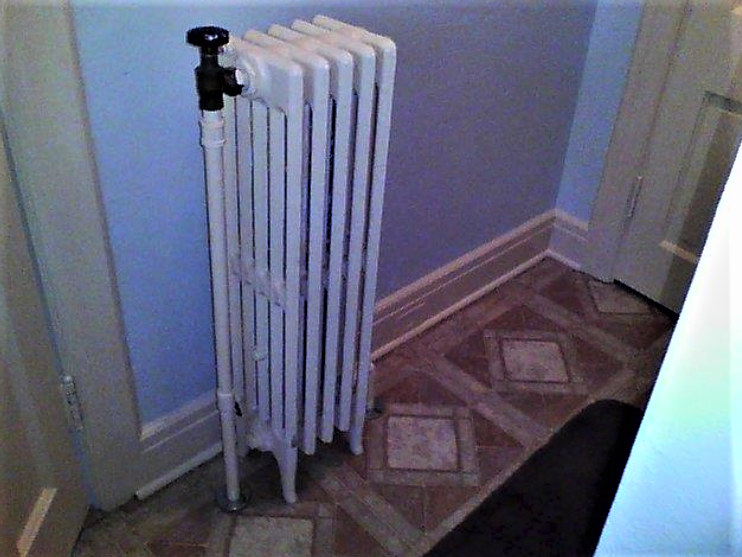 Do you see any signs of visible damage? 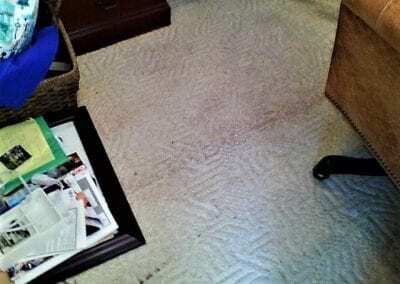 It all looks good to the naked eye — there are no water stains, evidence of past repairs, or any other indication of defective materials or water intrusion. 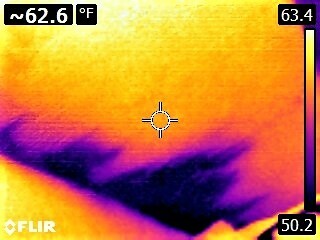 Now take a look at the same section of ceiling and wall through a thermal camera. See those darker patches? 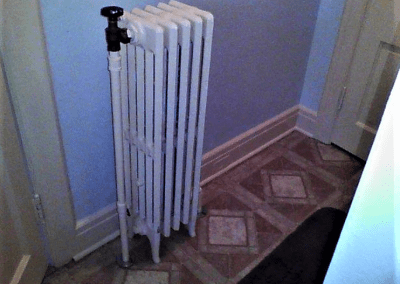 Those patches indicate cooler temperatures — and that isn’t normal! 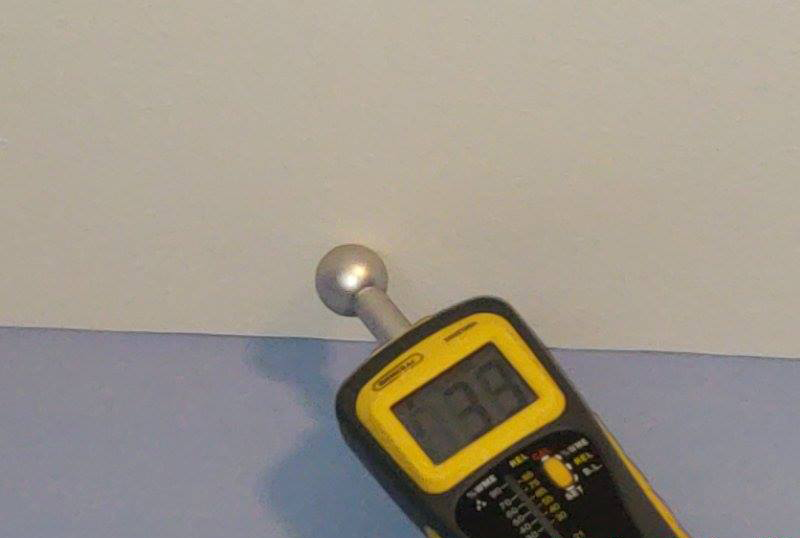 The temperature should be mostly uniform throughout the wall and ceiling under normal conditions. 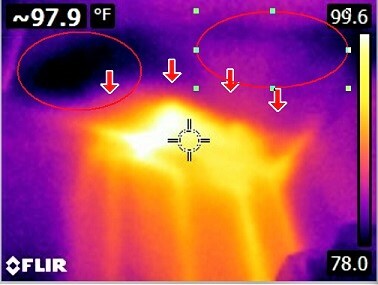 The last two pictures below show the results from a moisture meter scan of those suspect areas. 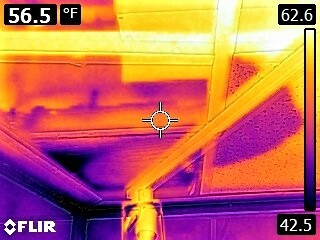 It’s clear that active moisture intrusion is occuring in both the ceiling and wall. 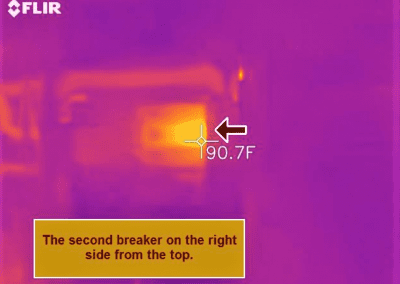 Without the assistance of Thermal Imaging, this moisture intrusion issue wouldn’t have been discovered — and that’s a very big deal that any potential homeowner should be informed of. 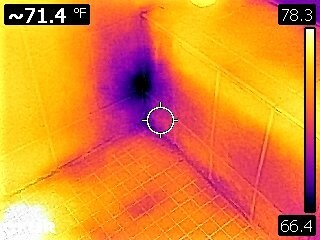 Without the assistance of Thermal Imaging, this water intrusion issue wouldn’t have been discovered. 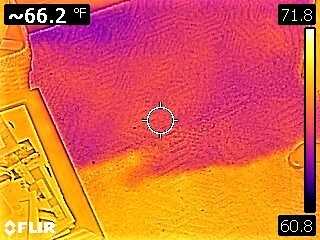 Adding a thermal scan to your home inspection can also reveal other elusive issues such as hidden plumbing leaks, electrical hotspots, and energy loss due to inadequate insulation—and the more you know, the more likely you are to make a good home-buying decision. Adding a thermal scan to your home inspection can reveal additional issues, such as hidden plumbing leaks, electrical hotspots, and energy loss due to inadequate insulation — and the more you know, the more likely you are to make a good home-buying decision. 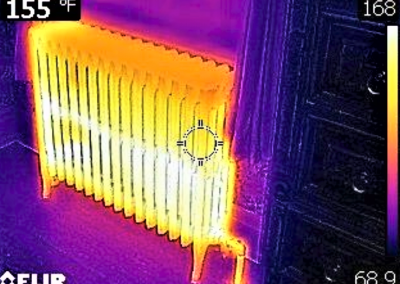 Thermal imaging cameras can be expensive, so many home inspectors do not carry one. 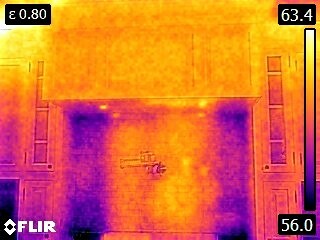 Home inspectors also need to understand thermal imaging well enough to properly interpret the pictures taken by the camera. 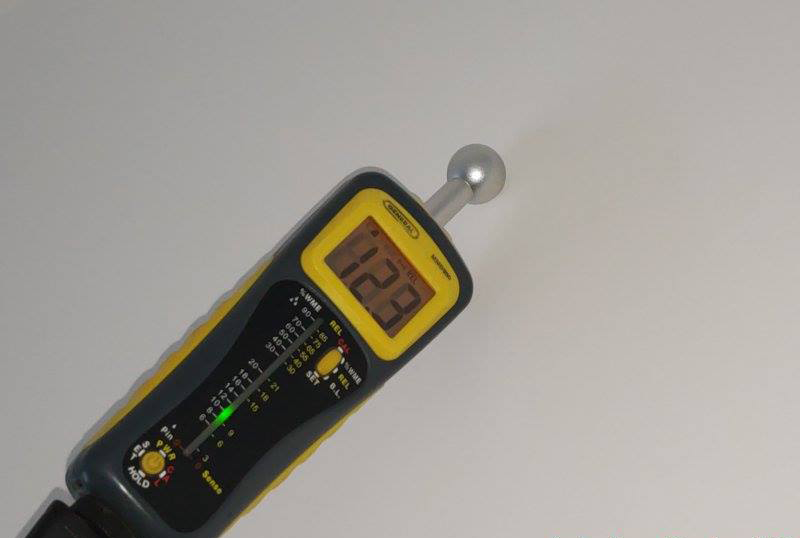 At Aztec Home Services, we want to employ the most state-of-the-art tools available so that we can perform inspections that will lead to a comprehensive understanding of the home in question. 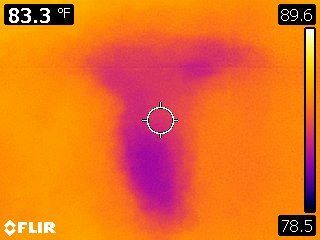 This is why we are proud to offer Thermal Imaging scans conducted by Certified Residential Thermographers and experienced inspectors in order to enhance the results of your home inspection and provide you with a more complete picture of what you hope will be your future home. 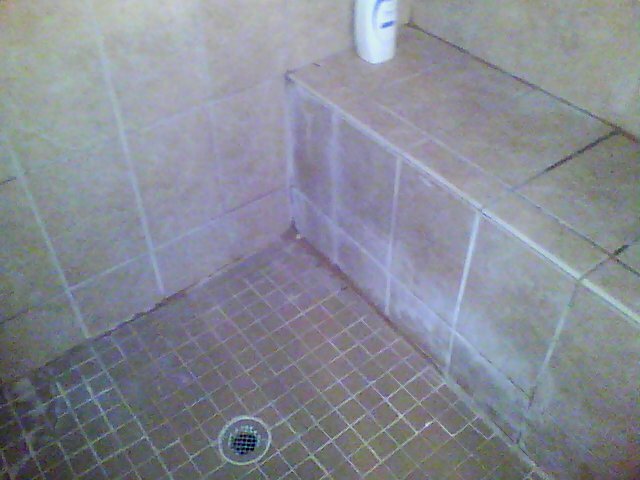 Aztec Home Services takes your inspection to the next level. 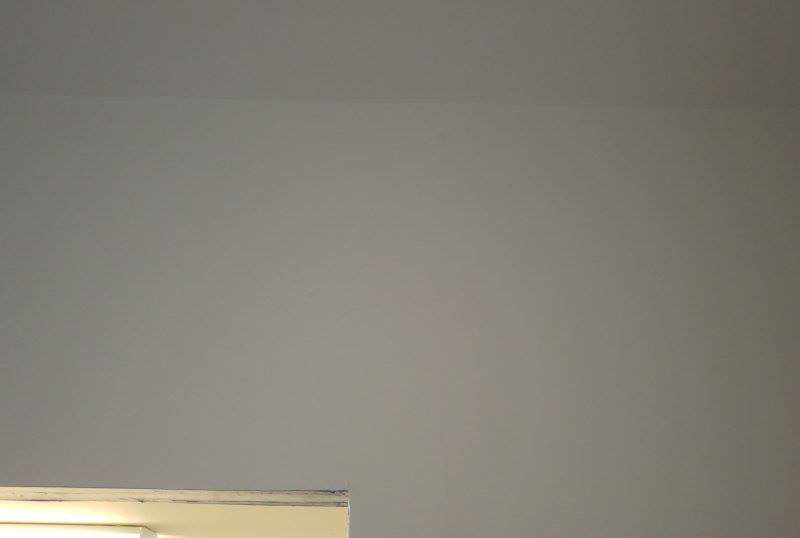 Schedule your home inspection today! 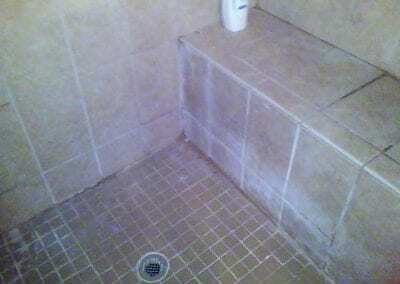 Virginia Licensed Home Inspector with 30+ years experience building, repairing, and inspecting homes. 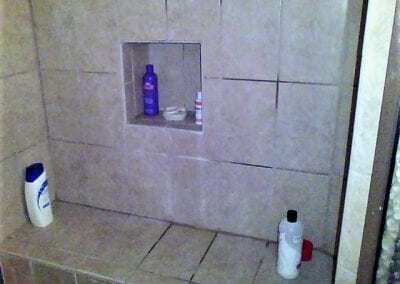 Evening and weekend appointments available upon request.